The largest winery in Washington State, Columbia Winery in Woodinville can accommodate receptions for up to 225 guests with ample parking. The tastefully decorated venue includes two gas fireplaces, multiple venue spaces, built in sound systems, and an outdoor patio reception/ceremony space! AXIS Pioneer Square boasts 6000sf photo studio, event venue & gallery in the historic heart of Seattle 1890 building with 18' brick arches and antique wood floors former home to Elliott Bay Book Co. Event capacity of 400 (250 seated). An Urban Gem in the heart of Seattle’s SODO district! WithinSODO was created with “function through form" design in mind. This Event space boasts three dividable rooms of 1600 square feet each, a 3000 square foot roof deck, three bathrooms, a caterer’s kitchen, two bars, an 80″ projection screen and audio ran throughout. With a total capacity of 500, WithinSodo caters to almost any type of event you can imagine. The Factory Luxe offers a welcome escape in its main 2,500 square foot room which features room for dancing, along with a modest stage, sound equipment, and vintage theater lighting. It also has a 17′ long bar perfect for cocktails and seated bar service. There is also a very large fireplace which, when filled with candles, gives the room a rich ambiance. It’s the perfect venue available year round for all types of corporate and private events including meetings, team building, celebrations, client dinners, picnics, receptions, weddings, anniversaries, holiday parties & other social events. The rental includes indoor space, outdoor covered patio, brides room, covered ceremony greenhouse and beautifully manicured award-winning grounds. Exchange your vows amongst 5 acres of beautiful gardens, gorgeous waterfalls, large ponds with bridges and spacious manicured lawns. Nature’s Connection Place is surrounded by 15,000 acres of forestland providing a very intimate and private outdoor setting for your wedding day. The venue offers several ceremony sites to choose from, all which create a perfect setting for a serene outdoor wedding ceremony. We also provide a Carriage House building and a beautiful white tent with elegant lighting for your reception. You and your guests will love this scenic and romantic setting! The Barn at Holly Farm is a perfect venue to host your private celebration! This 96-year-old vintage barn and working equestrian farm is set on 17 acres of tranquil farm land. The barn can host up to 200 guests seated and even more standing! Amenities also include multiple meeting rooms, balcony, and a majestic valley view in rural Bothell! The Clubhouse on Queen Anne is the best small Seattle venue for dinners, and parties of 20-120 people. In this historic venue, Seattle’s history is reflected by brick and mahogany walls, and a rustic bar from the Gold Rush era, all within one of the original buildings built on Queen Anne Hill. Designed with history and sustainability in mind, MAKERS has incorporated many refurbished elements that reflect and honor the culture and authenticity of Seattle. Great for any sort of event, from weddings, or work meetings, to holiday parties! MAKERS has a large presentation kitchen, reception, and comfortable lounge areas. An intimate event space in the heart of Seattle's Capitol Hill neighborhood. Though located in a dense urban environment, this venue feels secluded and private sharing an internal door with Oola Distillery. 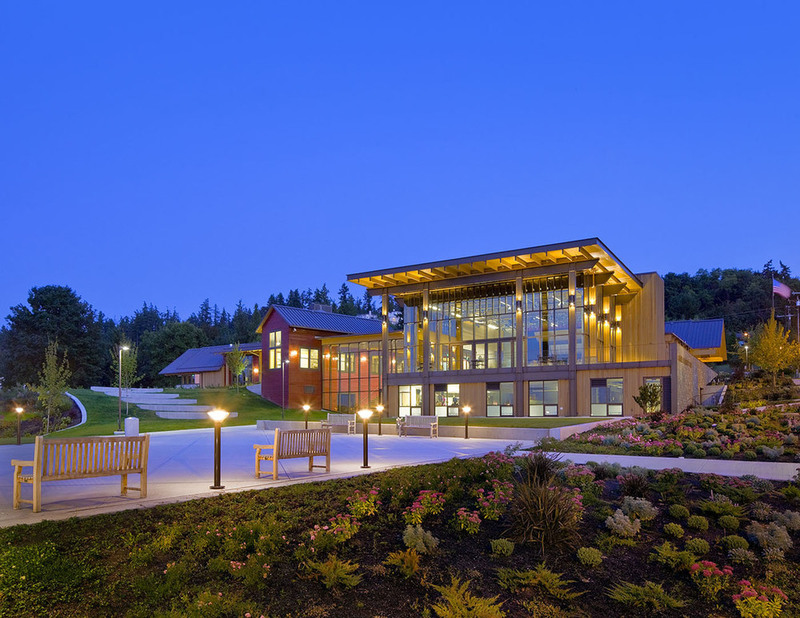 Located at the corner of 3rd Street and Lincoln Avenue in Mukilteo, Washington, the Rosehill Community Center is a BRAND NEW 29,000 square foot facility with sweeping views of Puget Sound. The building includes a public lounge with a fireplace and Wi-Fi access. The winery offers a one of a kind venue for up to 350 guests. Enjoy a flight of award winning wines while relaxing in their spacious tasting room. Dine on gourmet catering by Shooby Doo in the barrel room paired with Efeste's award winning wines! A distinctive northwest venue for music, receptions, corporate and cultural events, 415 Westlake provides a fresh canvas for your special event. Located in the emerging South Lake Union neighborhood in the heart of Seattle, 415 Westlake has over 5,000 SF of space that seats over 200 at table or 350 for walk around events. Host your next private event at our sister restaurant Bar Dojo! Available for both private luncheons and dinners, Bar Dojo is the perfect cozy spot to host up to 50 guests for meetings, receptions and socials. Their unique take on Northwest Asian Cuisine is sure to satisfy the appetite and give your guests an experience to remember! Our OTHER sister restaurant Salt & Iron features a menu of premium steaks and oysters! Rent our banquet room, half the restaurant or the entire space! Perfect for corporate gatherings, weddings, rehersal dinners and holiday parties up to 100 guests. Take advantage of cozy Downtown Edmonds and the seaside views! The Edmonds Plaza Room boasts a panoramic view of Puget Sound. Located in Downtown Edmonds, it is close to bridal boutiques, quaint gift shops and the ferry terminal. Surely you will not be disappointed with the view! The Edmonds Opera House, also know as the Edmonds Masonic Center is a historic 1904 building which housed the original and only Opera House in Downtown Edmonds. Featuring a main ballroom, smaller event spaces and a full commercial kitchen, the Edmonds Opera House is a fantastic and affordable way to host your private event! Located on the waterfront in the Port of Edmonds, enjoy expansive views of Puget Sound with the majestic background of the Olympic Mountains. This facility boasts a large bar, seating for up to 280 people, and a full commercial kitchen! DeLille Cellars is available for some private events on a limited basis. Whether it's your company's holiday party or an intimate wedding ceremony or reception, the DeLille Cellars chateau offers one of the most cozy and charming venues for private events in Woodinville Wine Country. Trinity Tree Farm is the perfect venue to celebrate wedding ceremonies, receptions and rehearsals for up to 150 guests. Located on a 40-acre hilltop in Issaquah, WA, our family farm is nestled between Tiger and Squak Mountains and has a beautiful view of Mt Rainier. Sitting peacefully along the banks of the Snohomish River this lovely historic farm offers both scenic views of Mt Baker and the northern Cascade Range as well as quiet pastoral scenes of the surrounding river valley. The outdoor facility is a renovated barn overlooking a large pond and wetland area that is fed by a beautiful waterfall and stream. Swans Trail can easily accommodate 50 or 300 guests, the large covered partially open barn has room for tables and chairs to seat 250 guests out of the weather comfortably. The new indoor facility can accommodate approximately 250 guests. Your Home, Property or Venue of Choice! In addition to the preferred venues above, Shooby Doo Catering provides full service event planning, food and beverages services to your home, special property or venue of choice! Should your event site not have party supplies or a kitchen, we would gladly arrange for those items to be rented, dropped off and picked up the following day for your convenience. Thank you for choosing Shooby Doo Catering where fine foods meet fine people! Our sister restaurant has also recently opened it’s first Food Truck! Visit www.bardojo.com/dojotogo for more information on how to book #chinolatino cuisine for your next private event!